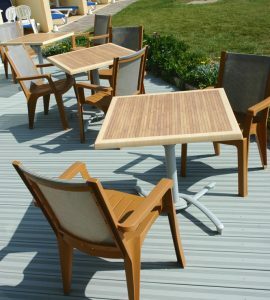 At this point we are assuming that your deck is ready and raring for it’s choice of finish. If your deck has not been prepared for finishing then you probably haven’t read our previous posts on how to do this. So get back there and do it! 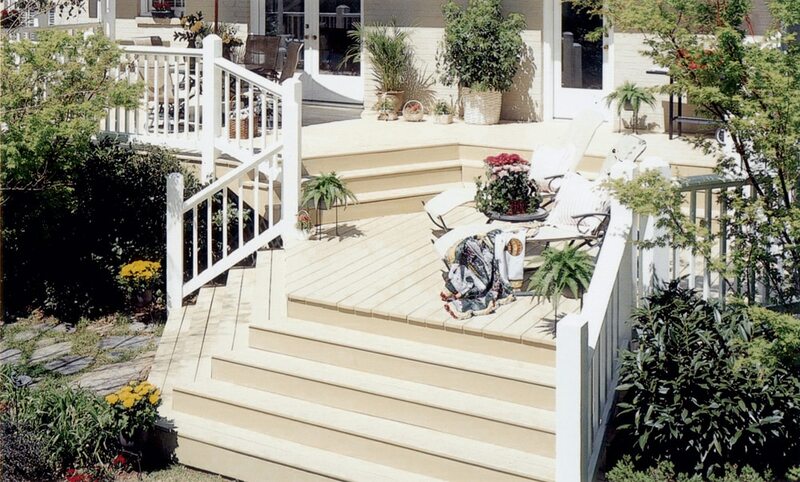 You need to prepare your deck well for its new finish in order for the finish to then perform at its best. If your deck IS ready and raring then there are a few decisions to be made before you go any further. Firstly you want to decide what sort of look you are going for – do you want a natural look or an opaque finish? Secondly, what color do you want your deck to be? Wood care products fall into two main categories – saturating wood oils and film-forming opaque finishes. We’re going to take you through your options from Owatrol and give an idea of how to apply some of the main finishes. Saturating wood oils are a group of products whose main job is to protect the wood from within. They are applied wet-on-wet, meaning the wood is not allowed to dry in between coats. Simply keep applying coats every 15-30 minutes until the wood is saturated. As they don’t form a film on the surface there is no risk of peeling or flaking. As the wood is saturated with the finish it means it can’t absorb any moisture. Saturating wood oils from Owatrol provide superb protecting against damage caused by UV rays and also require minimal maintenance. We have several saturating wood oil products and we’ll highlight the main differences here to give you an idea of why you might prefer one to another. Textrol is designed specifically for the protection of weathered wood and is a saturating product which protects from within. It is available in 6 tints; clear, cedar tone, redwood tone, golden oak, medium oak and rustic oak. When you first apply Textrol it will give the wood a rich, matte color. However, over time this will lighten to the finished look. Deks Olje D1 is also a saturating wood oil but it is not tinted, it simply gives a clear matte finish to really enhance the natural beauty of your decking. It is designed particularly for dense and difficult to impregnate hardwoods. 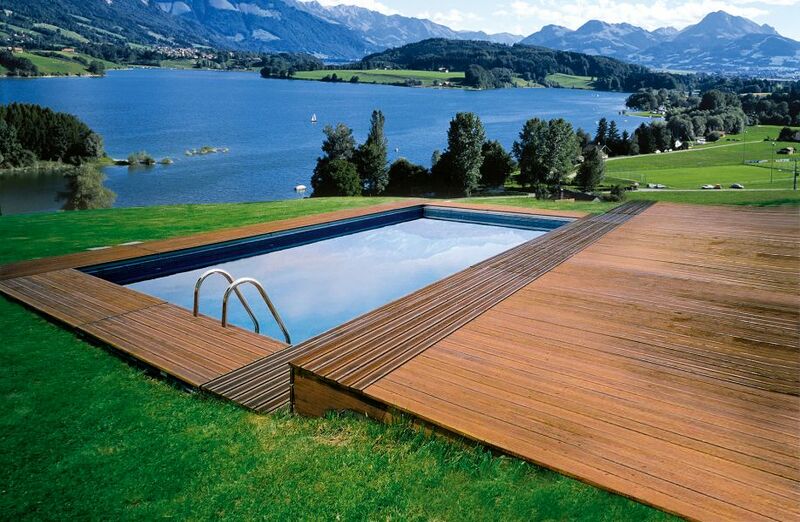 This makes it perfect for hardwood decking, but it can also be used on softwoods too. Incidentally if you’re a marine enthusiast, Deks Olje D1 is perfect for marine use too! Deks Olje D2 oil varnish is a perfect partner for Deks Olje D1 and is great for decorative work as it gives a high gloss finish. D2 can be very slippery when wet due to its high gloss nature. Therefore it is not suitable for your decking itself. However, depending on the look you are going for, you may want to use it on balustrades or handrails. It is a highly transparent varnish which really emphasizes the natural beauty of the wood. Aquadecks is our water-based penetrating wood protection which makes it perfect for use if you are concerned about using oil-based products. It’s applied in the same ‘wet-on-wet’ manner as the saturating wood oils. It is available in 3 tints (honey, teak and graphite gray). If you are looking for a colored finish for your deck or if you’re after an opaque, matte and even colored finish (in a wood tone or otherwise) then an opaque wood finish is just the thing for you. They are usually applied in 2 coats and require minimal maintenance with a top-up coat every few years. However, this is one area where you do need to be careful about the quality of the product you buy. Opaque finishes protect the wood on the surface, are cheaper and of poorer quality that can be liable to peeling and flaking. This leaves you with lengthy repair work to complete before you can apply protection next year! Owatrol finishes leave a strong but very flexible film which will not peel or flake. It will provide excellent protection against damage caused by moisture and UV rays. Most importantly though, you won’t find yourself in 12 months time having to strip your beautiful deck before having to start again! Although Owatrol products may seem more expensive, in the long run you are really getting excellent value for money. There are several Owatrol products which fit into this category and we’ll explain the differences here. Our Solid Color Stain opaque finish is also protected by our 5 year guarantee on horizontal surfaces and is also applied in 2 simple coats. It’s also available in a range of different shades; so if you’re looking for something a little bit different then this might be the product for you!